Mix together the butter & sugar until soft and fluffy – then add the eggs beating throughly. Add the vanilla. Then spoon in the flour / baking powder / cocoa powder – with a spoon of milk each time you add some until its all combined. 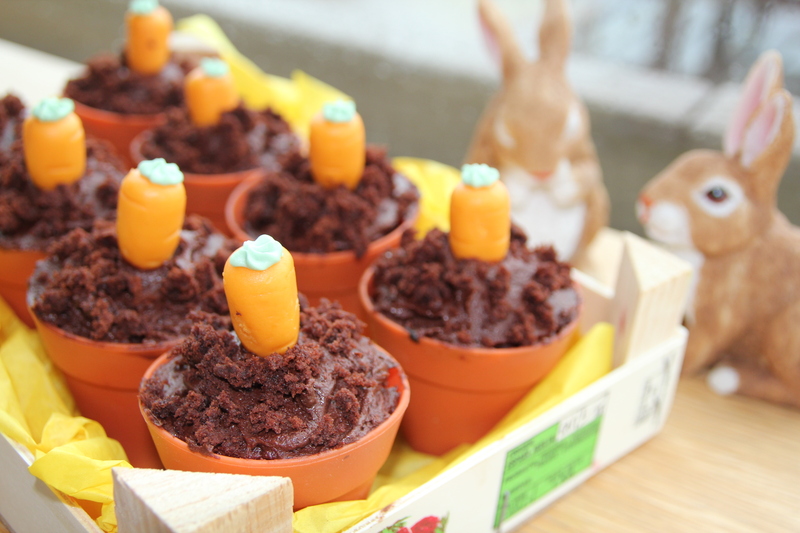 Fill your flower pots (or cupcake cases) and bake for 15 – 20 minutes at 180c – until a knife comes out clean. To decorate I used a chocolate buttercream (cocoa powder, butter and icing sugar combined) and then sprinkled some crumbs from a spare cake (the mixture made just over the 12 pots I had). I used marzipan carrots – but you could use gummy worms, tissue paper flowers or real flowers (If using real flowers use a straw folded over at one end to seal – wrap it with tape – as you don’t want the stems to come in contact with the cake. 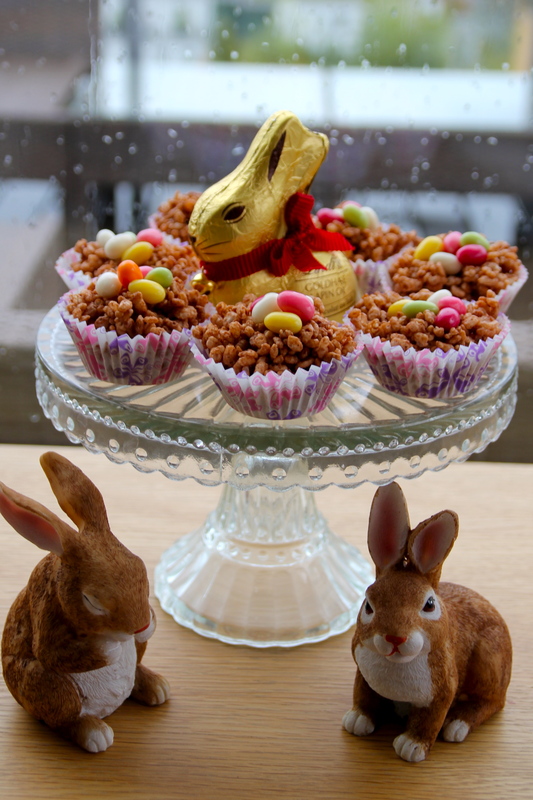 If that all seems like too much work you can make chocolate rice crispy cakes – make an indent in the top and add some sweet eggs to make easter nests! 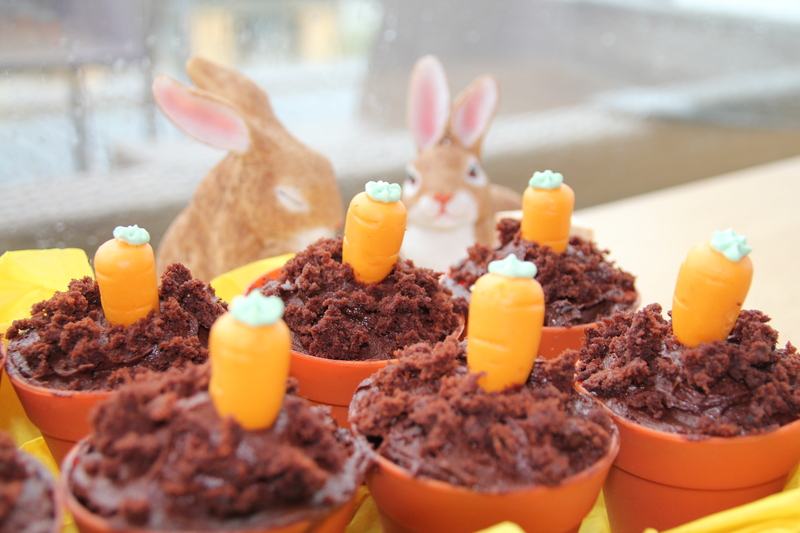 Those rabbits were determined to get a cake! !